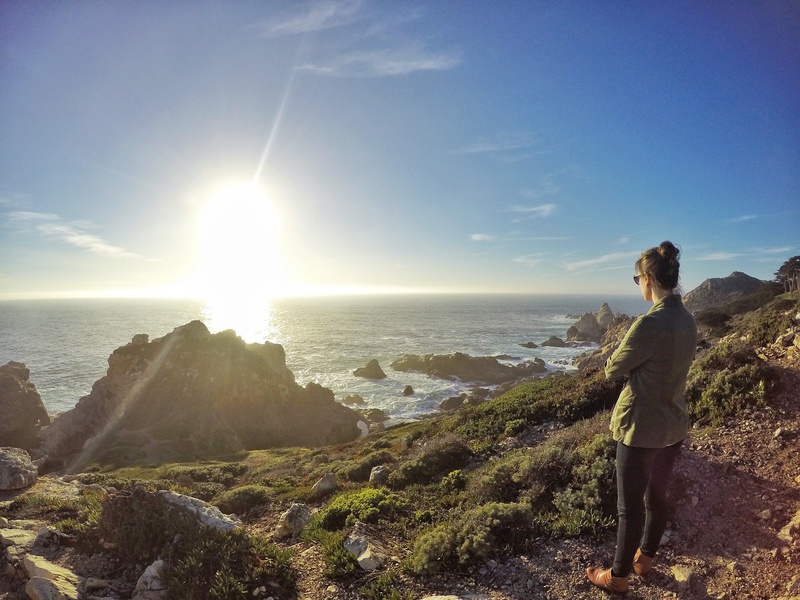 Christina and I traveled to Big Sur, California for her birthday. 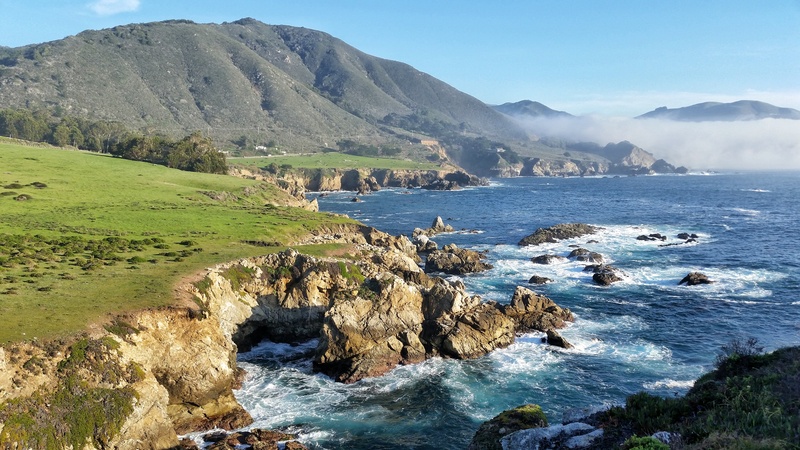 We traveled in February which tends to be the rainiest part of the year in this area of California, but we ended up being extremely fortunate in that it was warm and sunny for the majority of our stay. 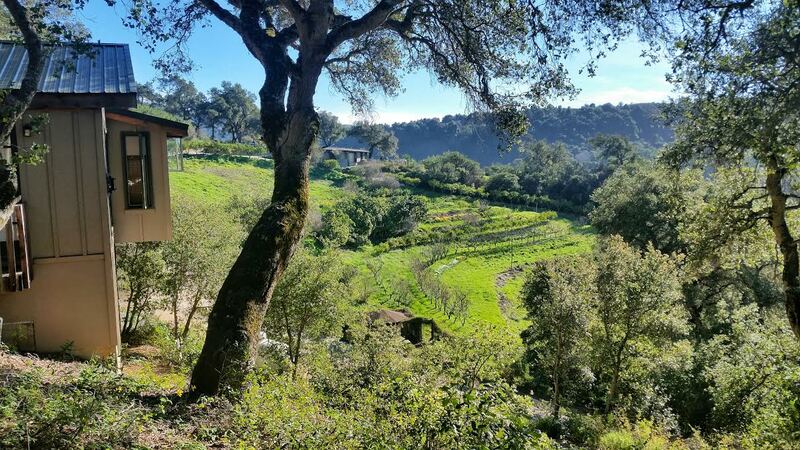 We stayed in a little cottage at Country Flat Farm, a small little self sustained farm tucked high up in the Ventana wilderness, looking out over the Pacific ocean. Upon arrival we found fresh eggs and honey produced on the farm waiting for us in the kitchen. The cottage had these huge floor to ceiling windows looking out onto the farm with the ocean showing itself between two hills. The drive up to the cottage was one of the more exciting aspects, as it was on a rather steep and narrow unpaved road, making Christina quite nervous as I drove (my driving was impeccable, by the way). 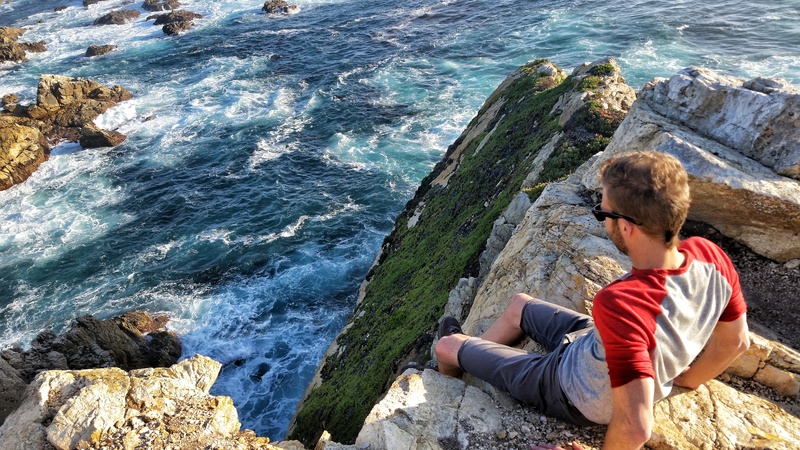 We took this trip with the goal in mind of spending plenty of time on the trails in the many different national parks and scenic areas of Big Sur. 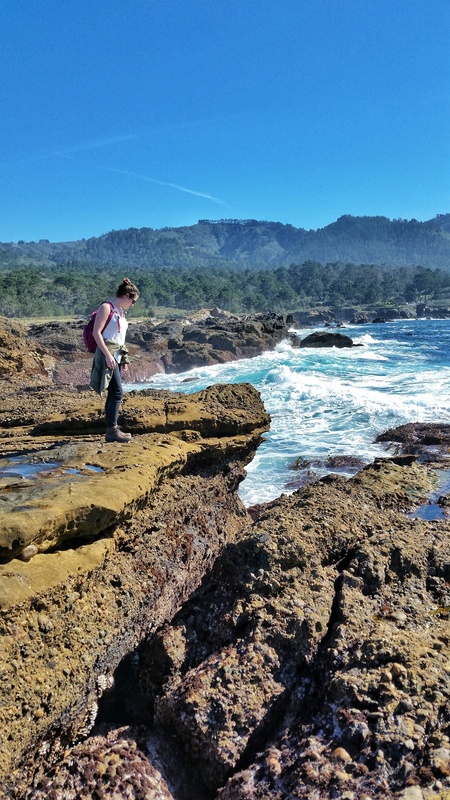 Our first stop was at Point Lobos State Natural Reserve. What a great first impression of this area! 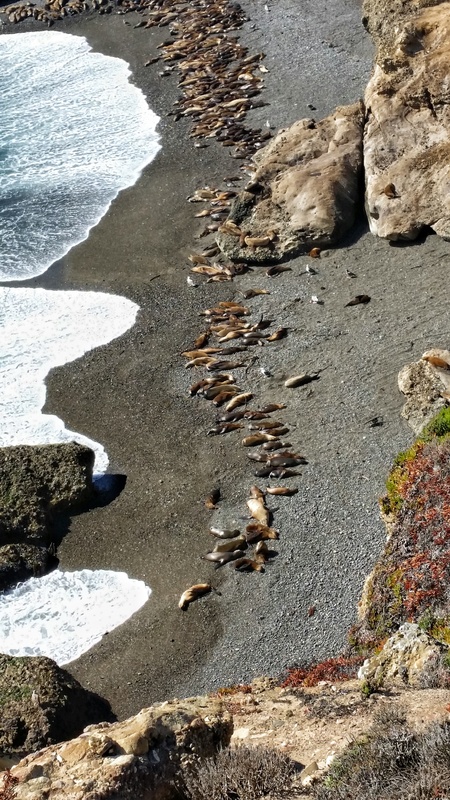 We hiked the Sea Lion Point trail, which took us to a viewpoint overlooking a beach where hundreds of sea lions congregated. The smell was unlike anything I’ve ever encountered, but it was pretty cool nonetheless. 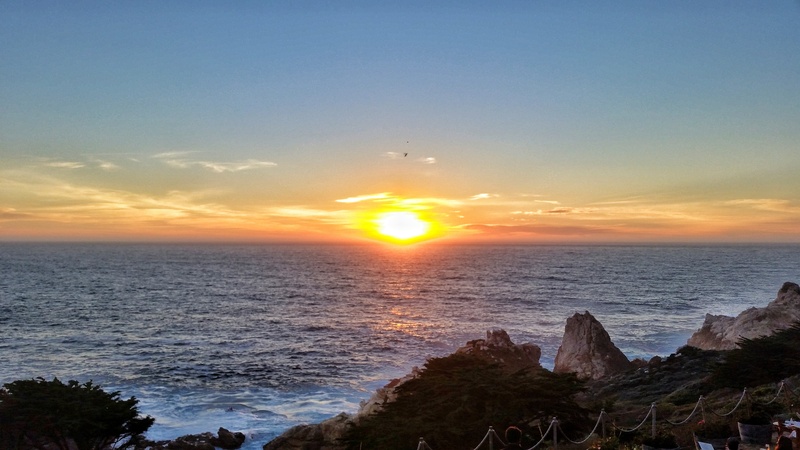 We were told by our host at Country Flat Farms, Janie, that we had to have a sunset dinner at the Rocky Point Restaurant very nearby the farm, and I am glad we took her up on the advice! 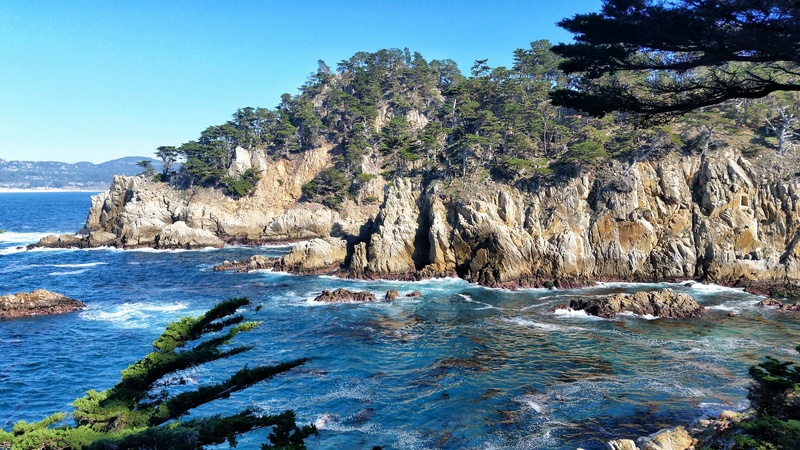 The views were stunning and brought our first day in the area to a relaxing close.